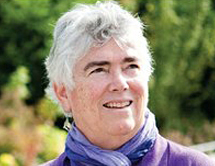 Kathy Fletcher is founder and former executive director of People For Puget Sound, a citizens’ organization formed in 1991 to protect and restore Puget Sound and the Northwest Straits. She also sits on the Northwest Straits Commission and the Puget Sound Partnership’s Ecosystem Coordination Board. Kathy previously chaired the Puget Sound Water Quality Authority, a state agency formed in 1985 to develop a comprehensive plan to clean up and protect the Sound and Straits. During the Carter Administration, she served on the White House Domestic Policy Staff, where she handled environmental and natural resource issues. She has taught environmental policy and nonprofit management at the University of Washington. She has also worked for the Environmental Defense Fund and several other environmental organizations. Her career includes five years heading environmental, energy conservation and other programs at Seattle City Light, the city’s publically owned utility company. Kathy has served on many nonprofit organization boards, including the national Sierra Club and the National Environmental Trust, and is currently a member of the boards of Restore America’s Estuaries and the Washington Foundation for the Environment. Kathy majored in biology at Harvard University and is a native of Seattle.